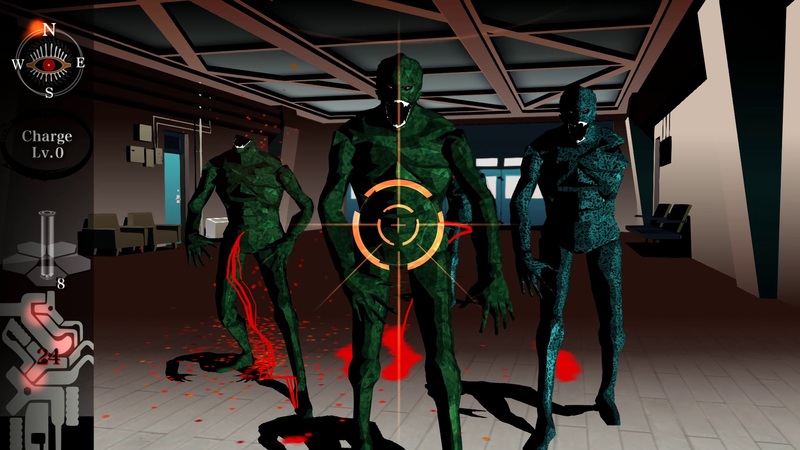 Killer7 was a cult classic from Grasshopper Manufacture, that’s now been given a new life with a PC port. Originally, the game was published by Capcom, though this new port was handled by NISA. The port features a slew of quality of life upgrades, though it has a few odd quirks. I was a bit skeptical about the quality of the port at first. After spending time with the game, despite some quirks, it’s a solid port. Let’s start with the technical aspects of this. I’m not sure if there is support for 4k resolutions, as I only have a 1080p monitor myself. There’s also a noticeable lack of resolution options in the game’s configuration. You can only choose to run the game at full screen or windowed. While in windowed mode, you can freely change how big the window is. It would’ve been nice to have some presets to choose from though. Doing this doesn’t change the resolution it’s outputting at. Even in a tiny window, it was still outputting at 1080p. In better news, it runs at a solid 60 frames per second. Reload animations however play out at 30 FPS, apparently to avoid some technical issues. It can be somewhat jarring going from smooth gameplay to slightly choppy reload animations. If you’re a purist, you can have the game run at the original 4:3 aspect ratio. All the animations and assets in the game have been redone to suit the new 16:9 aspect ratio, however. Still, I guess it’s there if you want a more nostalgic experience. Of course with the game now being on PC, there is now keyboard and mouse support. It works about as good you’d expect, aiming with a mouse is a lot more precise. There’s also hotkeys for switching between the various personalities you can control. I’m glad to see these sorts of quality of life improvements, though controller is still a perfectly fine way to play the game. Finally, you’re able to completely customize your controls. It is a bit disappointing that there aren’t more robust options available, but the game runs rather well. One last quirk is the fact that the save screen is the same as the one in the original version. So you’ll be warned not to remove your memory card. I wish they would’ve changed that for the sake of consistency, but it’s not a big deal. Time for the game itself. 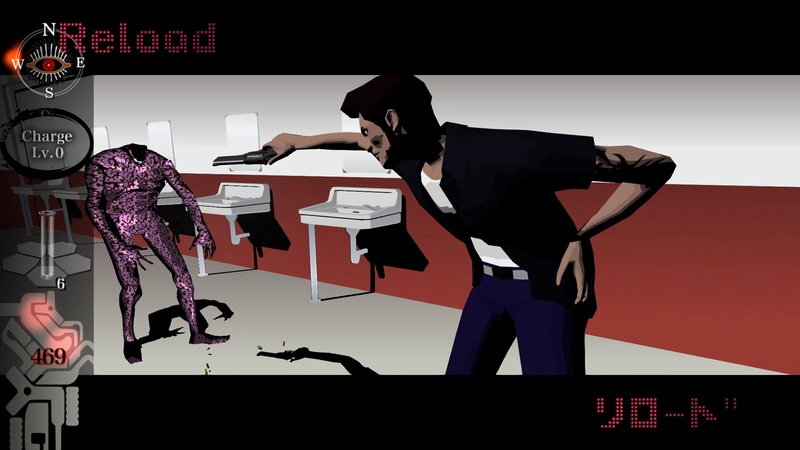 Killer7 is a sort of part action/adventure, part rail shooter. You play as not a single character, but rather a host of personalities that you can switch between at will. 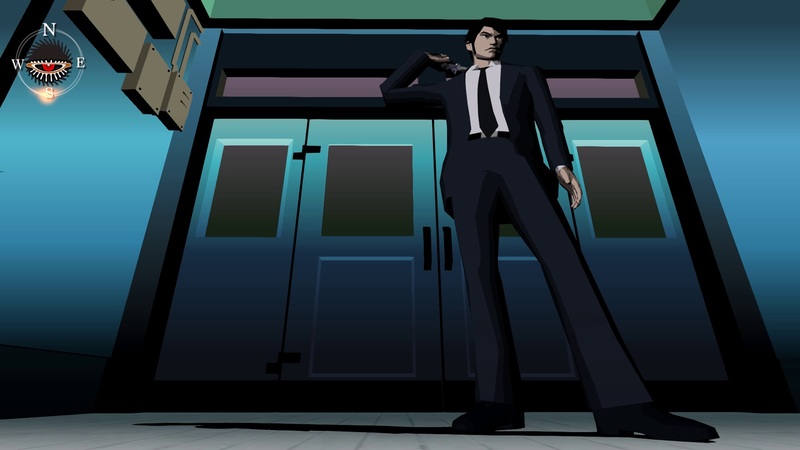 These 7 personalities make up the team of assassins known as killer7. The game opens up with them taking on a new job, clearing out a building filled with entities known as Heaven Smiles. These are people that have been mutated into mindless husks. They hunt down other humans and then blow themselves up. You eventually meet the central antagonist, Kun Lan. From there, you go on a variety of missions ranging from being contracted by the US government, to missions of a more personal nature. The less you know about the story though, the better. It’s a real roller coaster filled with geopolitics between the US and Japan, and lots of other good stuff. It’s something that simply must be experienced first hand. The gameplay is as much of an oddball as the story is. You move around entirely on rails, one button moves your character forward, another turns your character around. You’ll be navigating through various preset paths. At certain junctions, you’re given choices between different paths, which prevents this from being a totally linear affair. You’ll also be spending most of your time solving puzzles. The main goal in each area is to collect items called Soul Shells. The puzzles mainly boil down to finding Odd Engravings, which you use to unlock something to allow you to progress. There are also elemental rings you find over the course of the game which are involved in the puzzle solving. For example, using the water ring to put out a bridge that’s on fire. The different personalities you play as also have different abilities that are involved in the puzzle solving. One guy can turn invisible, allowing him to slip through laser security. Another can jump really high, allowing him access to certain areas. The puzzles I found were either incredibly simple or really obtuse. Technically, they can be both at the same time, and if you stumble across something that you’re not sure what to do with, you can bring up the map. The map points out the locations of every puzzle and Soul Shell and will even just tell you what character to use or what ring you need to use. To double up on the help, you get a guide in the form of a ghost named Iwazaru that often drops cryptic hints. Between all this, it’s pretty hard to get legitimately stuck. I’m a bit torn on the puzzles. On one hand, I find them just really simplistic to the point of being tedious at times. On the other, if they didn’t exist, the game and the world in the game would be a lot more boring. They exist in a narrow space where they’re just involved enough to feel like you’re doing something, but not so much that they bog things down. Most of them don’t anyways, though sometimes it can be frustrating to have to switch characters a lot because that process takes awhile. Still, I think I would’ve preferred things if the puzzles were overall a bit more intuitive and could rely a lot less on the game just telling you exactly what to do. 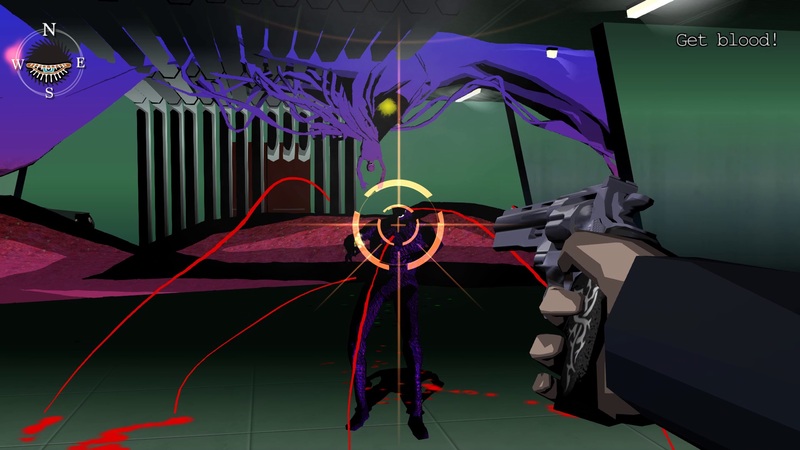 The other half of the game is a rail shooter, and the unique enemies is definitely one of the ways this game stands out. Pressing the trigger button switches you to a first person perspective where you can now shoot enemies. You can’t move while in this mode, so positioning is always something to be aware of. The enemies in this game are called Smiles, and basically all of them follow the simple behavior of chasing you down, and blowing up when they get near you. All of them have some gimmick to them. Killing them by shooting their weak spot gives you blood, while just shooting them normally doesn’t give you anything. There’s two different kinds of blood, one type goes towards upgrading your characters abilities. The other type goes towards filling up blood vials that are used to heal you and using special combat abilities. The different personalities you can play as all have different weapons that affect your playstyle. Dan is a pretty standard guy, he’s got a six shot revolver with moderate strength and moderate reload times. There’s Kaede who has a slow firing pistol and is slow to reload, but is very strong and has a scope. Con has two guns that are fairly weak, but you can shoot very quickly. He ended up being my favorite character to play as in most cases. There’s also Mask who has devastating grenade launchers that kills most enemies in one shot, though you won’t get any blood with him. Each character has different abilities and different amounts of health. Determining which character to use is fairly important. Though that said, the game makes it very obvious when certain characters are more preferable. This aspect of the game plays as well as one could want. Enemies are varied enough where you’re always having to change up your tactics. A single enemy is no big deal, but you are thrown into pretty tense situations often where you have to stay on your toes and prioritize what you have to deal with. The special combat abilities are neat, though I feel like their usefulness is a bit too limited. The vast majority of enemies can be dealt with easily with normal gunfire, so special abilities are saved for very specific circumstances. I can’t say there were many situations where I was running low on blood vials. Progressing is often tied to using a certain combat ability, so the game basically makes sure you’ll never run out unless you purposefully blow through them. Visually, the game holds up really well. The cel-shaded look doesn’t date the game too much, and certainly gives the game a very unique art style. The character models may not have the polygon count that modern games do, and some textures are still pretty low res. Overall though, it’s a nice game to look at. The soundtrack is a perfect mix of ambient music that suits when you’re exploring the game world and solving puzzles, to then more high energy tracks during boss fights and other intense moments. Some of the audio mixing is a little rough, there are moments where sound effects and music can drown out dialogue. Fortunately, you can adjust their individual volume levels, and there are subtitles to ensure you don’t miss anything. Despite some of the qualms I have, the overall gameplay experience ends up being greater than the sum of its parts. In the mixing of the odd structure, light puzzle solving, interesting enemy design, and the sheer novelty of it all, it becomes something really special. No other game in my experience plays like this, nothing even comes close to even make a comparison. 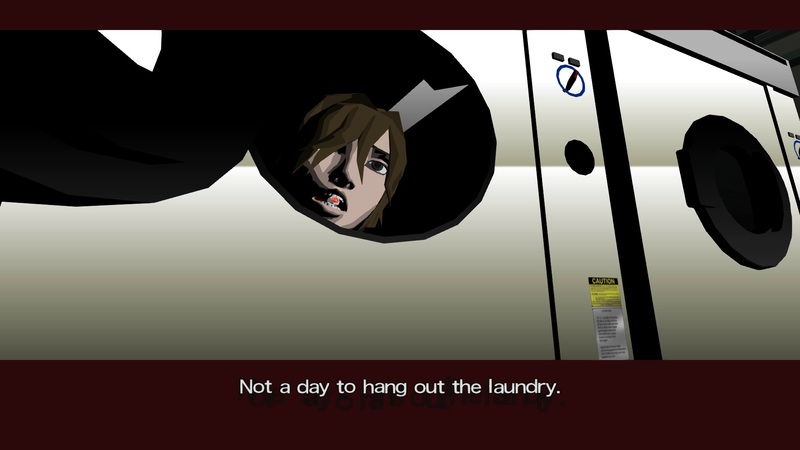 Killer7 is a game that defies convention at every turn. Nothing it does ever feels by the books, sometimes it seems to deliberately break certain “rules” just for the sake of breaking them. It’s a shooter, but it does things so differently from other shooters, its hard to really put it in the same category. The game oozes style in all aspects. If you’re in the mood for something that’s astonishingly unique, it’s really hard to go wrong with this game. It’s $20 on Steam, a single playthrough will last about 15 hours, and there’s extra modes you can unlock to play around with for added value. It’s well worth the money and certainly worth your time.